My name is Emeka. By itself, Emeka means nothing. To understand what it means you would have to say my name in full, Chukwuemeka. This means “God did well”. I was named by my maternal grandmother. I was born on the week that Chukwuemeka Odimegwu-Ojukwu came back from exile. My grand mum says she was on the line to my parents and she said “ afa ya bu Emeka ooo”. “his name is Emeka”. So I was named after Ojukwu. I am pretty sure that most Igbo boys named Emeka between 1967 and 1987 were all named after Ojukwu. This is indicative of Igbo names. Most Igbo names are shortened versions of the original. Edu, Ebuka, Okey, Tochi, Ekene, Uche, Ada, Chike, Chuma, Arinze or Ike. All of these are shortened versions of the original names. In order to get a sense of what they mean, you have to spell them out in full. So Emeka could be Nnaemeka, Chukwuemeka or Chiemeka. Edu is usually Chinedu. Ebuka is Chukwuebuka. Tochi is K’anyi too Chineke. Ekene is Ekenedilichukwu. Uche is either Uchenna or Uchechukwug’eme or Uchechineke. Ada is Adaora or Adaeze or Adannia or Adadioranma. Chike is Chikezie or Chikeziri or Chinweike. Chuma is Chukwuma. Arinze is Arinzechukwu and Ike is either Ikenna, Ikechukwu or Ikemefuna. Igbo names are, usually in commemoration of a significant event that occurred at the time of the child’s birth. This is captured in the meaning of the name. My brothers’ name is Okey. This is short for Okechukwu. My brother was named after our father. My fathers’ full name is “Oke Chukwu Kelu mmadu enwero ike ikaghali ya.” This can be interpreted in many ways. I will give you two. What God has created no one can “uncreate” or the share that God has given cannot be taken away. Before my dad was born, his mother’s family had longed for a boy for a while. She was born into a polygamous family and because her mother did not have any male children they were harshly treated. My dad had an elder brother who died as a baby. This brought a lot of distress in the family. When the baby died, my dad’s grandmother heated a metal rod and gave the dead kid a mark in the ear whilst proclaiming “e ga nata gha lili!” You must return! Legend has it that my dad was born with the mark in his ear. (Disclaimer: I haven’t noticed it.). Two other boys followed after my dad. They are both grandfathers today. My grandmothers’ name was “Mat’agu”. This is one of my favourite Igbo names. Literally, it means “Bring back a leopard”. The leopard was the king of the jungle round my area in ancient times. So the jungle is sometimes referred to as Agu. So for a people that value real estate more than anything else Mat’agu would mean “bring me lots of fortune”. This is another aspect of Igbo names; sometimes they are more intricate than they are literal. My grandmothers’ immediate younger sister was “Adimonyenma”. Who am I better than? The next in line was “Enunka”. In full it is “A no m n’enunka”. I am with my wits. The youngest sister was “Omanu” or “Omanukwueziokwu”. One who is familiar with the facts should speak the truth. From the foregoing you can infer my grandmothers’ family history from her name and that of her sisters. You don’t get names like these any more. That epoch is different from the present. In that epoch, names were not influenced by Christianity as they are now. So you didn’t get names beginning or ending with “Chukwu” or “Chi”. My grand-mum died in 1997. She was in her early 70’s or very late 60’s. You will only get a handful of people that are her age mates that had names starting or ending with “Chukwu” or “Chi”. Most people her age were probably the first converts to Christianity in their families. Names from that era are almost extinct now. You don’t get names like Nwankwo (my middle name), Uluka, Ojiugo, Ukamaka, Egozo, Anyaedo, Oluede, Ojukwu, Okeke, Ilodibe, Ilodinso and Uyanwanne any more. Names that were common 3 decades ago are slowly disappearing now. Names like Osita, Obioma, Ijeoma, Obiageli and even Arinze are slowly disappearing. You will be hard pressed to find a 10 year old or younger Igbo kid with these names. Contemporary Igbo names usually start with a K now. Kamsiyo, Kosiso, Kobi or Kanayo. Put Chukwu or Chi at the beginning or the end of these names and you get their meaning. These names are indicative of the sway of Christianity in Igbo land today. It is so strong that even the meaning of names have changed to suit it. For example, the name “Anaeto” today means “K’anaeto Chineke”. Let us keep praising God. But its original meaning is an ode to the god Ani/Ana/Ala. In full, it is ‘Ana etoo m”. Ana has honored me. I am not so sure but I will go out on a limb and say that anyone with this name either is a farmer or is from a lineage of farmers. That is before Christianity, obviously. Another name whose meaning has changed is Chioma. Chioma’s meaning in today’s parlance is taking literarily as “Good God’. But if you understand Igbo culture or have read “Things fall apart” then you will know that the meaning is more complex than that. In Igbo, Chi is more akin to a guardian angel. The suffix Oma normally means good or fine. It is also used as a verb to connote luck. If you put it all together Chioma means I have a luck-bringing-guardian-angel. Remember that old Igbo names are more complex than they are literal. So Chioma simply means “I am lucky”. I know, it’s a bit confusing, right? Igbo ebuka! From the foregoing you can deduce that I am biased towards the older Igbo names. I think the new Igbo names are more, as my friend Hameed puts it, like prayer points. I prefer old Igbo names where a small phrase can tell a family’s history. I have a friend whose name is “Uzuegbunam”. Let the bickering not kill me. From his name, you can tell that there was a lot of speculation about his family at the time of his birth. His father was involved in a bitter ancestral land dispute. Also, the same phrase could mean different things depending on how you say it and the meanings could all be correct. “Amobi” could be read as “a ma obi”. My compound (Family) is well known/famous. It could also mean “A ma obi….”. Do you know the heart or do you know the intentions? You certainly need the name to be said out to understand the intentions of those that gave the name. Igbo Erika. I am sure that this article will raise a lot of questions and debates amongst the native Igbo speakers that will read it. Feel free to join in the debate. Please raise questions. It can only enrich our understanding of the Igbo language and culture. There was a bomb blast at NyaNya, Nassarawa state today. The bomb detonated at a popular bus park. The bus park was located at a major intersection thus it created a huge impact in terms of casualty and carnage. This is written in the immediate aftermath of the events and so I apologise if I go off the rails in the course of this piece. We have all assumed that this was Boko Haram. It fits their MO, civilian targets, busy area…..very flamboyant. But the truth of the matter is that we will never know or be so sure. Boko Haram might come out tomorrow and claim responsibility for the attacks and that would be the end of the investigations. We will never know who planted the bombs, who detonated or what devices were employed to wreak this havoc. All we will get is a message of hope from the authorities. The usual ” we as a people have to unite against this perpetrators of evil” or “all hands must be on deck to fish out these evildoer”. But I’m sure it rings hollow to each and everyone of us. What we know is that the Nigerian state is failing on its most basic task i.e providing security. Can’t we for once be able to identify the person who planted the bomb rather than wait for the perpetrators to identify themselves? Can we get the profile of those involved? Can we go deeper? The answer is no. We now live in a society were we pay criminals to stop vandalising our pipelines, where a local king would be kidnapped in his palace, where children in school have their throats slit, were we will boast of terrorism being cordoned to a section of the country. We live in very perilous times in which the end nor the solution is in sight. I am no expert in defence but it appears that those charged with securing us are at their wits’ end with this. Tomorrow, we will just get additional soldiers on the street blocking the roads and creating traffic all around the city. Isn’t there a better way to secure the city? Are these endless roadblocks achieving any thing? Can 3 soldiers realistically ransack all those cars on the road or is their presence just a show to deter would-be attackers? Again, i do not have answers to these questions as I am not a security expert. Our experts need to ask themselves these questions because clearly, all the methods previously employed to secure our borders are unable to do so. Another thing that really struck me is how we cater to the dead. Minutes after the explosion, people had already started circulating pictures of mangled bodies on social media. To my fellow countrymen, I have a question to ask, supposing one of the victims was your friend, would you want their mother to see them like that? Would you want their loved ones to be haunted by such an image? I’m sure you wouldn’t. Please restrain yourselves. It’s wrong to gain popularity on social media on the back of dead bodies. Also, can anybody advise the authorities to start putting people in body bags. It is a matter of dignity and respect to the dead. Putting them on the floor reduces their humanity. All it does is that it turns them into tools for cheap sensationalism. They were more than that, they are more than that. That’s someone’s child. That’s someone’s sibling. That’s someone’s parent. Finally, to those that perpetuate these atrocities, what did these people do to you that aroused so much anger and hatred? How do you justify these acts to yourselves? How does slitting the throat of a 14 year old advance your cause? How does killing the poor and defenceless help your cause? How? I am a man that is moved by the emotional. By the things that make us mundane, human and humane. It thrills me to see an otherwise great man shed a tear at the loss of a loved one or when one who is highly esteemed apologises to a past misdeed and seeks redemption. Maybe thrill is too trivial a word to use in this context….. I think LIKE is a better word. Like not in terms of pleasure but as in particular way the term “awww” is used in Social Media parlance. “Awww….look at Pope Francis as he ministers to the disfigured man.” ” Awww look at Bill Clinton weeping…lets forgive him.” Like as in empathy. So when a great person is profiled, I fix my attention on the things that make them human. Like Hank Schrader (Dean Norris’ character in Breaking Bad) I am suspicious of any one who has a squeaky clean image. I find these kind of people to be at best boring or at worst dubious. Very dubious. 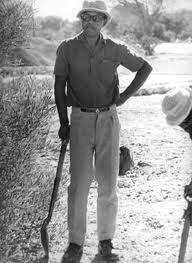 It was then to my delight that I discovered that Nelson Rolilhalha Mandela was a mere Mortal. From all indications, he was a “Strong-Head”, as we would call him in Nigeria, when he was growing up. He once spoke about how he and his friends “…would sometimes steal some mealies (corn)…” when they were young. Reading further about the man, I found out that he was also a bit vain. He liked looking nice and dapper. He loved the night-life and it eventually cost him his first marriage. This “strong-head” streak led to his formation of the military wing of the ANC. As an organisation led by a “strong-head”, it gained notoriety for its armed struggle for the emancipation of the blacks of South Africa for which he was eventually jailed for. Two images signify this “strong-headedness”. The way he walked into prison in full traditional regalia with his head held high and not letting the jailer imprison his dignity. The second is the photograph of him while a prisoner. He had a hat on, dark shades and struck an upright, relaxed and defiant pose. This pose was against the normal stereotype of a prisoner: stooping, sweating and defeated. When I was handed a letter by the authorities, I would not rush forward and grab it as I felt like doing, but take it in a leisurely manner. Though I yearned to tear it open and read it on the spot, I would not give the authorities the satisfaction of seeing my eagerness, and I would return slowly to my cell as though I had many things to occupy me before opening a letter from my family”. Even after all his experiences in the prison that were designed to wear him down, he stubbornly refused to be defeated. His ‘strong-headed’ nature refused to give in to despair. It refused to accept defeat against perilous odds. It lead him, to find another way to achieve his goal of freedom for his people: to study the enemy. He read voraciously about the Afrikaans and their history. He even learnt their language. Through this process, he learnt that the best route to emancipation was via peaceful means. Through a system where no person, white, black or coloured would fear for his rights and dignity. Where no one will be discriminated against because of their race, creed, sexuality or whatever persuasion that identified them. His “strong-headed” nature again helped push these ideals. He coerced his comrades in the ANC to adopt these principles against their will. He did this through words (e.g his speeches after his release from prison) and actions. (e.g the way he forced the adoption of both the white and black anthems as the national anthem of South Africa.). Out of deference for our culture of reprimanding “strong-headedness” , I will call it another name. I will call it by its more friendly name “Resilience”. In honouring Madiba, let us all be resilient in standing for right against wrong, always. Firstly, I do not have any claims to diplomatic practise nor am I well versed in economics. But I am an ordinary observer from one of the so called new frontiers of the world. What that photograph tells me is that China respects you. No matter how small you are. Xi Jinping was discussing with the Vice President of Comoros and not even the President! How many times do we witness a big shot from the Us or the Uk speaking with any President or Vice from Africa. They usually assign a minister or an official from their ministry of foreign affairs. This is why I think China is winning in not just the resource battle in Africa but also in the battle for softpower. In my city, Abuja, it is even more clear. The western diplomats are usually the ones that occupy the most expensive areas of town like Maitama, wuse 2 and Asokoro. While the Chinese are in Garki, lokogoma and some even live in Idu-karimo. The Chinese mix very well with the locals. I was ashamed of myself when I met a Chinese man that could speak fluent hausa. He lives in Fadan Karshi, Kaduna state. This makes it easier for the ordinary man to relate with the Chinese. The ordinary man in turn might later own the desk and the pen that decides who gets what in Nigeria. I do understand that I’m not as smart as the western diplomats and that they may have a grand strategy that works for them. But in my own little understanding, the Chinese are winning and I think that’s what other ordinary Nigerians are thinking too.